Arthur Kolnik was born in Stanislavov, a small town in Galicia, which was then part of the Austro-Hungarian Empire. His father, who was originally from Lithuania, worked as an accountant and his mother, who was originally from Vienna, ran a shop. In 1905, he discovered Yiddish literature in Czernowitz, on the occasion of the first conference on Yiddish language, which was organized by several writers including I. L. Peretz, Cholem Aleichem, Shalom Asch, and Nomberg. 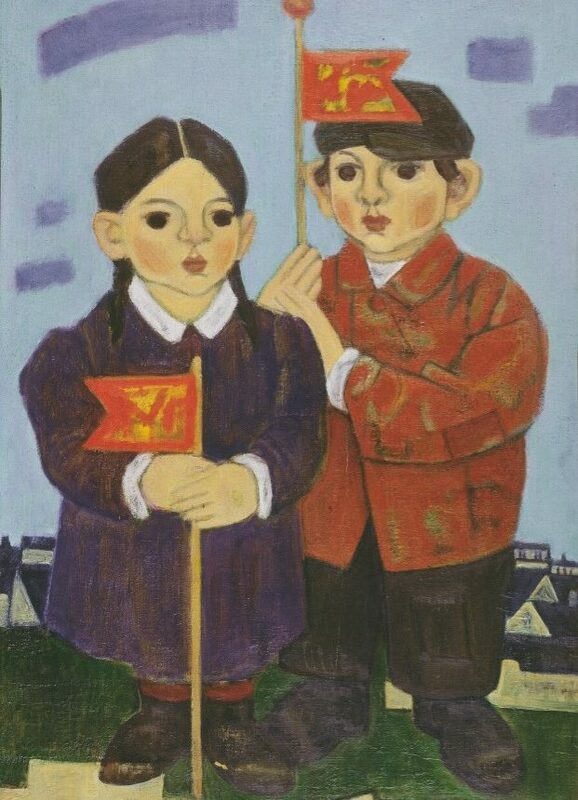 In 1909, Kolnik joined the School of Fine Arts in Krakow and took classes taught by Jacek Malezcewski and Joseph Mehoffer, a portrait painter and an artist who produced stained-glass windows in Fribourg (Switzerland). He was mobilized in the Austrian army in 1914. He was wounded in 1916 and repatriated to Vienna, where he met the painter Isidor Kaufmann. In 1919, Kolnik settled in Czernowitz, which was then annexed by Romania. There, he met writer and poet Itzik Manger and storyteller Eliezer Steinberg for whom he produced several illustrations. 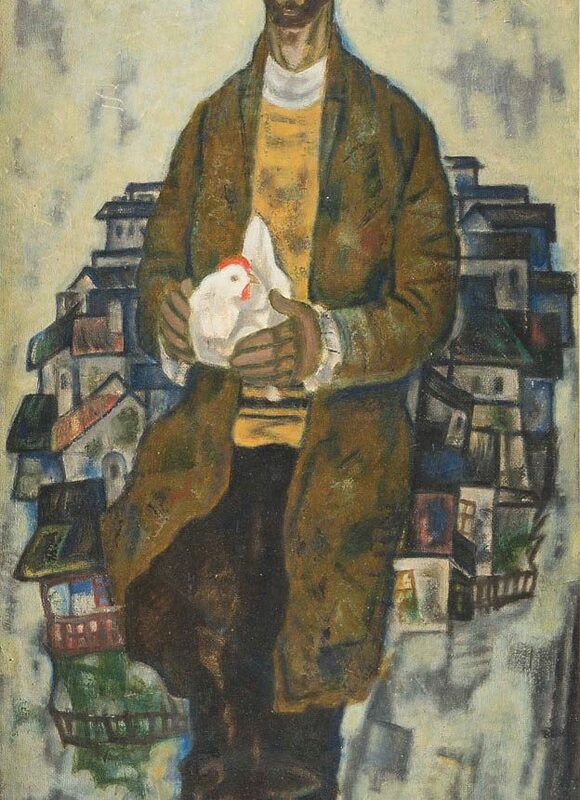 In 1920, Kolnik left for the United States, bringing fifty paintings with him, after he saw an advertisement in a Yiddish newspaper about an exhibition of Jewish Polish painters in New York. He found out that it was too late for his paintings to be exhibited in this exhibition, but he luckily met photographer Alfred Stieglitz who found him a gallery and organized an exhibition of his work. In 1931, Kolnik arrived in Paris with his family. For several years, he gave up painting. His wife taught piano and he drew for fashion journals. In 1934, he produced an album of twenty-four engravings, Sous le chapeau haut de forme (Underneath the Top Hat), which was prefaced by Henri Barbusse. He later produced twelve plates for Grosbart’s Les Personnages (The Characters). In 1948, he illustrated I.L. Peretz’ Métamorphoses d’une mélodie (Metamorphosis of a Melody). In 1940, he was interned at the Récébédou camp in Haute-Garonne with his wife and daughter. 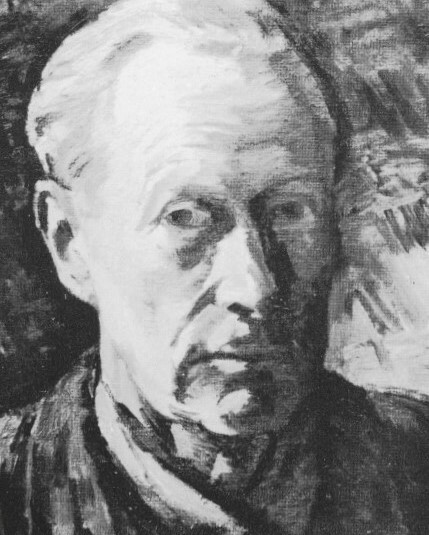 Following the war, Arthur Kolnik stayed in London, New York, Krakow, Vienna, Riga, and Buenos Aires, where he exhibited his work. He contributed to the journal Nos Artistes (Our Artists). In 1955, in New York, he was awarded the Chaban prize for his graphic work. In 1962, his fist solo exhibition took place in Paris at the Galerie Creuze. That same year, he traveled to Israel for the first time.